A member of the mint family, marjoram was often placed on the graves of the ancient Greeks to symbolize happiness in this life and the one after. Available in many different forms, sweet marjoram is the one most commonly used in everyday cooking. "Wild marjoram" is actually oregano. Marjoram is a component of both fines herbs and herbes de Provence. 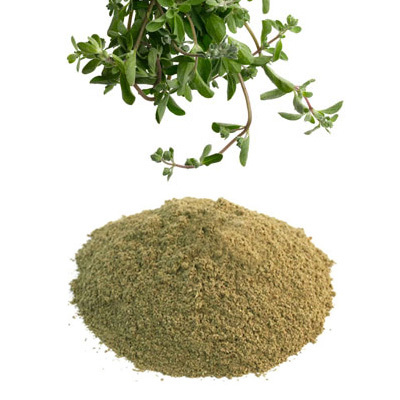 Just as marjoram looks like a more delicate version of oregano, its flavor is also oregano lite. It's a great flavoring with vegetables, in sauces and is good as well with meats and sausage. And unlike oregano, marjoram is subtle enough to pair with fish and lighter dishes. As with many of the more delicate spices, it's best to add it toward the end of the cooking period so that the flavor does not dissipate. Dried marjoram is often used to flavor sauces, and both leaf and ground versions are good options for slow-cooking stews and sauces.